A 2006 National Research Council report indicates people with kidney disease are more susceptible to fluoride's bone and teeth-damaging effects. Dialysis machines cannot use fluoridated water because it is known to be potentially dangerous to patients. An NKF statement indicates some people receiving dialysis treatments died or were poisoned from fluoride after it leeched through machine filters. As WND previously reported, there is growing and fierce opposition to plans to fluoridate public drinking water after shocking new studies that seriously question a practice routine among U.S. municipalities for nearly the last 50 years. Emerging ranks of concerned groups and individuals have been protesting widespread water fluoridation as the chemical has been designated a health risk to infants, kidney patients and people with thyroid conditions. Some reports indicate it can lead to dental fluorosis, brittle bones, cancer, kidney disease, neurological problems and other ailments, including lower IQs. sb312 is a disastrous bill authored by louisiana state senator, willie mount (d) lake charles, which will mandate the fluoridation of louisianaians water supply. 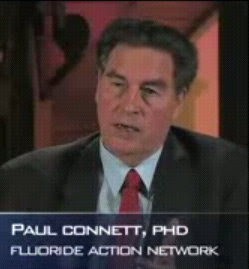 today around 4:15 p.m. cdt, paul connett ph.d. with the fluoride action network will appear on the kvol "acadiana uncovered" radio program hosted by stephanie ware to alert louisianaians to the health dangers this bill poses. besides the health risks posed to humans, the louisiana legislature has never even considered the risks of giving fluoridated water to animals such as dogs, cats, cows, horses, chickens etc. or how the introduction of fluoridated water into the food chain will affect human beings. kvol website please listen to the interview if you can and call in to dr. connett with your questions. acadiana uncovered airs from 4 pm - 6 pm cdt. 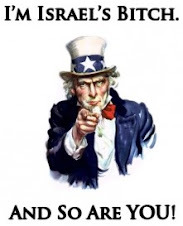 hb887 rethug slug-fest in senate judiciary "a"
dr john fleming for congress?